I am sure you are researching who you want to take your Senior pictures right now. I know how daunting that task can be! Hopefully I can help you understand what sets Christina Ramirez Photography apart from the rest. What I offer goes beyond just photos. Yes, the pictures are why you come to me but for me it's so much more than that. I work hard to create an experience that is like no other, one that will leave you soaring and feeling the most amazing you have ever felt in your life. This is your year, and I want to capture you in a way that you will cherish and be so proud of for many, many years to come. 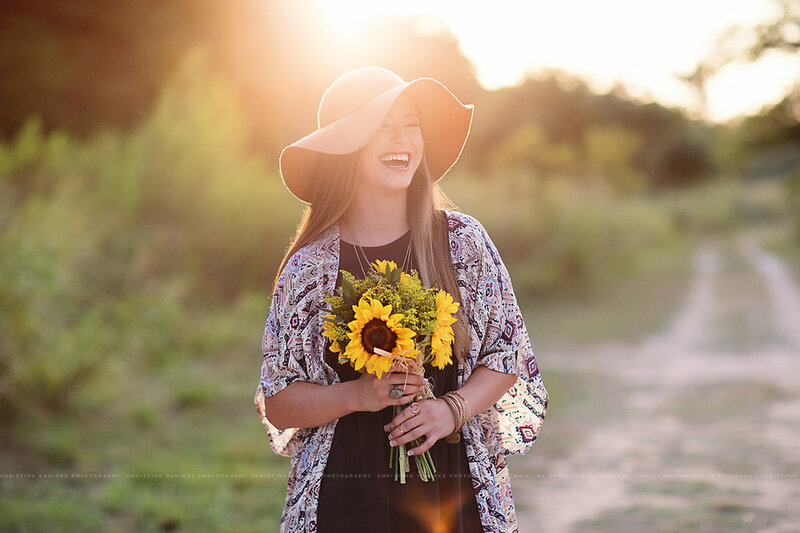 I know when you look back at your Senior photos 10, 20, 50 years from now you will remember the way you felt on your day: Beautiful, on top of the world, confident, young and full of life. Because my team and I work hard to create this one of a kind experience for you, I know that your confidence will shine in your images in a real and authentic way. After your photoshoot, the experience continues with a premiere ordering session in my studio. You and your parents are invited to come relax, view your beautiful images and see samples of all of the top of the line, timeless products you can have for yourself. I will guide you every step of the way because I know just how over-whelming choosing images can be. I know with my help it will be a fun process and together we will create something you will be excited to have and proud to show off. I offer a boutique experience from start to finish and am not a volume photographer which means you are not a number to me and I do all I can to truly get to know you. Because of the amount of time I take with each of my clients, I can only take a select number of seniors each month in order to be fully dedicated and apply extreme attention to detail on your images and all of your custom designed products. You are the reason I can do this job I absolutely love! Your Senior portrait experience will be just as amazing as your Senior pictures themselves!